Born in London, England in 1888, he received his early education there and after a brief career as a sailor, came to Newdale in 1906. He graduated from the University of Manitoba as a pharmaceutical chemist and operated a drug store in Newdale. He was active in all community affairs and a member of IOOF, COOF and AF & AM. He was appointed Secretary-Treasurer of the Rural Municipality of Harrison in 1918 and for over 30 years he ran his own drug store, piloted the municipality and the Newdale Consolidated School District and served the Red Cross and several other organizations. He was President of the Marquette Liberal Association from 1934 to 1948, and stood as a Liberal-Progressive candidate for the Minnedosa constituency in the 1936 and 1941 provincial general elections. 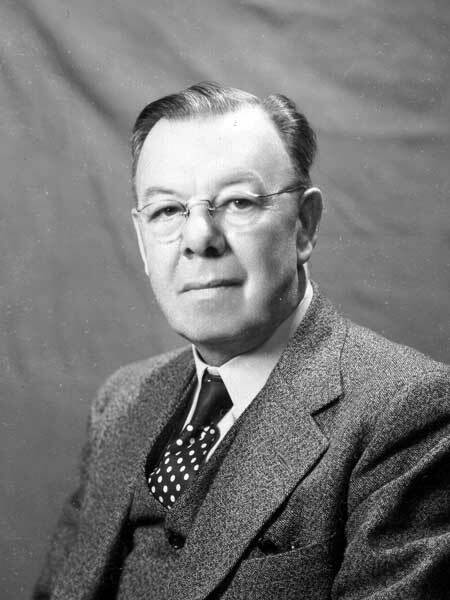 He was one of the early members of the Manitoba Municipal Secretary-Treasurers Association, was elected its Vice-President in 1934 and President in 1937. After his two years in that office he became Secretary-Treasurer of the Association and continued in this capacity until the summer of 1949 after his election to the Manitoba Legislature as Liberal-Progressive member for Minnedosa constituency. He was defeated in the 1953 provincial election. Starting in 1933, Rungay contributed information to The Manitoba Office Page in the Western Municipal News magazine and, the next summer, he took over as correspondent and carried on the page for fifteen years. He died at Brandon on 23 November 1955, aged 67, survived by his widow, a son and a daughter. “H. S. Rungay dies at Brandon,” Winnipeg Free Press, 24 November 1955, page 13. Obituary, Western Municipal News, December 1955, page 384.